Stampin’ Up!® Demonstrator Karen Robinson | The Retiring List is out! 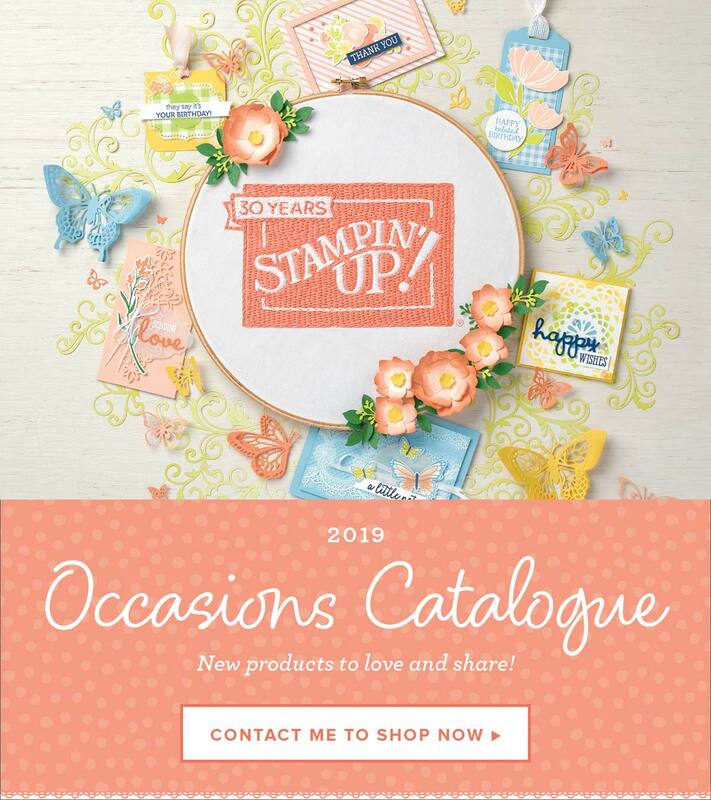 The 2018 retiring list is out and select products from the 2018 Occasions Catalogue and 2017-18 Annual Catalogue will soon be gone forever – if any of your favourites are on it, don’t wait too long to add them to your stash! Make sure you check out all the details below and please remember, most items will be available only while supplies last. The retiring lists for both the Annual Catalogue and Occasions Catalogue are available in PDF or Excel formats for you to download below. I don’t really like this time of year, but know they have to make way for fabulous new products, I’ve seen the new Annual Catalogue and there are some gorgeous things coming 🙂 Just remember, if there’s something you have-to-have that’s on that list, don’t wait to add it to your order, it might be gone! If you’d like to purchase any of the products I used today, please visit my Online Store. I’d love to be your Stampin’ Up! Demonstrator in Australia and remember to use April’s Host Code: 966CYMWU when you shop with me to receive your Customer Rewards.